OFERTA DUBAI JUNIO VERANO EN FAMILIA! 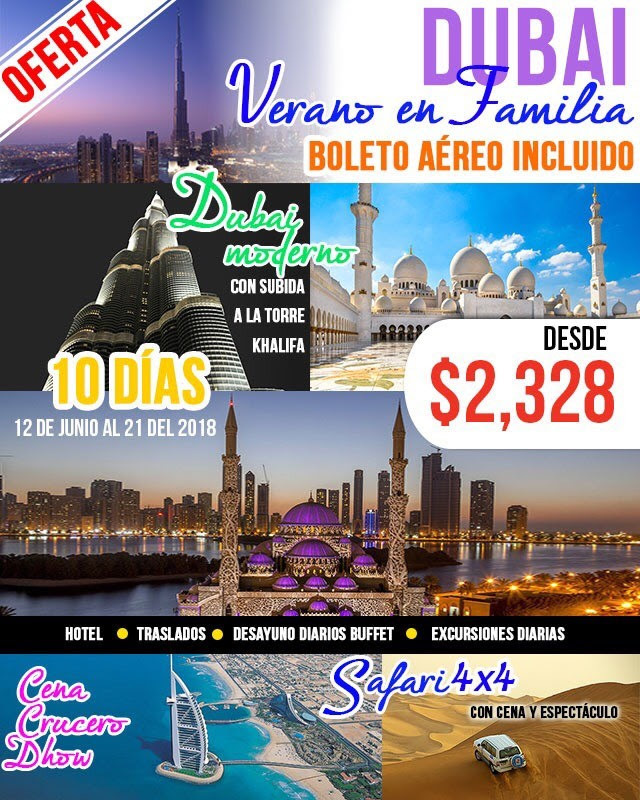 PRECIO SUPER ESPECIAL DUBAI $2,328 JUNIO 12 AL 21, 2018 ! BOLETO AEREO INCLUIDO, EXCURSIONES, ALOJAMIENTO Y MAS! DUBAI! CON BOLETO AEREO INCLUIDO, ALOJAMIENTO, EXCURSIONES, SAFARI 4X4, SUBIDA A LA TORRE KHALIFA Y MAS..! OFERTA DUBAI JUNIO VERANO EN FAMILIA! Copyright © 2018 PJR INTERNATIONAL TRAVEL, All rights reserved.